Paxil is an antidepressant approved by the FDA and released on the market in 1992. With the active ingredient paroxetine, the medication belongs to a class of drugs called selective serotonin reuptake inhibitors (SSRIs), which are designed to help the brain maintain a higher level of the “feel-good” neurotransmitter, serotonin. Though Paxil experienced robust sales for many years, becoming the fifth most-prescribed SSRI antidepressant in the U.S. by 2007, problematic side effects, including those associated with Paxil and pregnancy, soon tarnished its reputation. Eventually, over 5,000 patients would file lawsuits alleging that manufacturer GlaxoSmithKline (GSK) failed to provide adequate warnings concerning Paxil birth defects and other health risks. Paxil has also been prescribed for sexual dysfunction in men, diabetic neuropathy (nerve problems associated with diabetes), and chronic headaches. Though the drug wasn’t specifically designed to treat depression during pregnancy, doctors initially paired Paxil and pregnancy to reduce the health risks associated with depression in expectant mothers. It would only later be discovered that pregnant women taking Paxil had a higher risk of giving birth to a baby with SSRI birth defects. Scientists believe that major depression and anxiety are often caused by a chemical imbalance in the brain. Serotonin, a neurotransmitter that sends signals from one nerve cell to another, is one of the major chemicals thought to contribute to positive thoughts and mood. When a person has too little serotonin, the brain cells are unable to communicate as well with one another, which may result in depression and anxiety disorders. 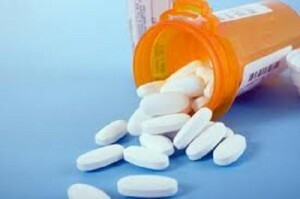 Paxil (paroxetine) is one of several types of medications that work in the brain to block the reabsorption of serotonin. Typically, nerve cells absorb serotonin, but if they absorb too much, there isn’t enough left to properly manage brain cell communication. Paxil and other SSRIs block the reabsorption of serotonin, leaving more in the patient’s brain to carry out normal communication and improve mood. June 19, 2003: The FDA recommends that Paxil not be used in children and adolescents under the age of 18, due to possible increased risk of suicidal ideation and suicide attempts in children and adolescents taking Paxil for depression. October 15, 2004: The FDA issues a public health advisory requiring manufacturers to include an SSRI black box warning, alerting patients and physicians of their tendency to cause suicidal thoughts in children and adolescents. May 2, 2007: The FDA requires manufacturers of SSRIs to update the existing black box warning to include alerts about increased risks of suicidal ideation and behavior in young adults ages 18 to 24 during initial treatment, generally the first one to two months. On December 8, 2005, the FDA issued a public health advisory stating that exposure to paroxetine in the first trimester of pregnancy may increase the risk of Paxil birth defects. The FDA requested that the manufacturers of Paxil and other medications containing paroxetine adjust their warning labels accordingly. In 2005, the same year the FDA required updated warnings on Paxil and other paroxetine medications, they changed the classification of the drug from C to D—indicating a risk to unborn children. After 2005, the FDA continued to follow the research on Paxil and pregnancy, and provide additional warnings about the latent dangers of Paxil birth defects. July 19, 2006: After a study published in the New England Journal of Medicine indicated that exposure to SSRIs in the later stages of pregnancy could increase risk of PPHN, the FDA issued a public health advisory alerting patients and physicians to the risks of PPHN associated with Paxil and pregnancy. Shortly after that last communication, the British Medical Journal published another study analyzing more than 1.6 million birth records in five different countries, and found that women who had taken an SSRI after the 20th week of pregnancy had a two-fold increased risk of giving birth to a baby with PPHN. A later study review published in October 2012 in Human Reproduction noted that the use of SSRIs during pregnancy was associated with an increased risk of miscarriage, birth defects, preterm birth, newborn behavioral problems, PPHN, and possibly longer-term neurobehavioral effects. GlaxoSmithKline has faced thousands of lawsuits in which plaintiffs allege Paxil birth defects and other serious injuries related to consumption of the drug, including suicide and withdrawal issues. The first Paxil lawsuit went to trial in October 2009, and resulted in a verdict for the plaintiff, with the jury determining that the manufacturer failed to provide adequate warnings regarding the risks of the drug. Since then, the company has paid out billions of dollars in Paxil settlements.